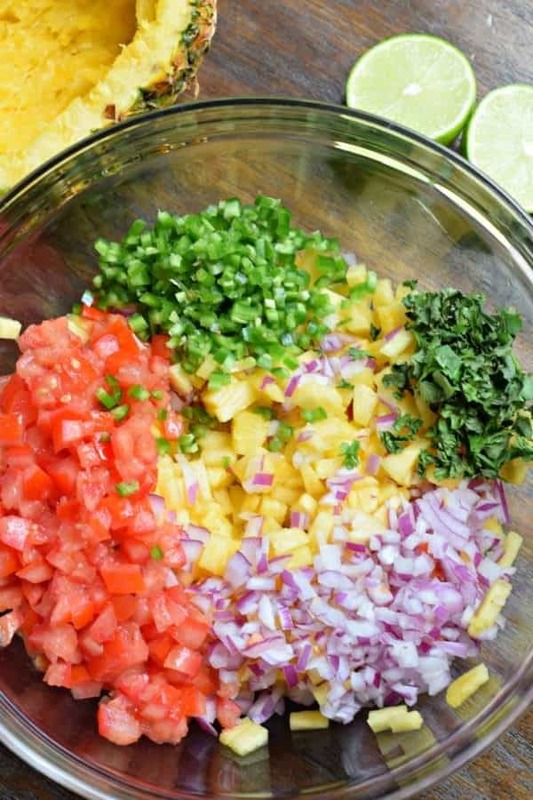 I’m not a stranger to homemade salsa recipes. 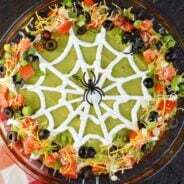 While most of you come here for the sweets, if you poke around you’ll see I have plenty of savory foods too. And that includes a variety of salsa recipes. Normally, people imagine salsa to be a tomato based dip for your tortilla chips. And while that’s awesome and wonderful, if you’ve never explored FRUIT in your salsa, please give it a try. You can still get the heat by adding in jalapenos, but the addition of pineapple in the salsa gives it a sweet flavor. It’s perfect on a chip or to add to your favorite fish or chicken recipe (like I did with this strawberry salsa). This summer has been a strange one in our house. It’s the first full summer that our son is out of the house (he is in the Marines, and away from home). It’s the first summer our oldest daughter doesn’t have any swim meets for us to attend (she had an injury, all good now, but she’s not competing this summer, just working straight through to high school season). And yet, it’s also one of the first summers we have no vacation plans. Bummer, right? Each day I go on facebook and it seems another one of my friends is at the beach, the mountains, or on an airplane headed somewhere fun! 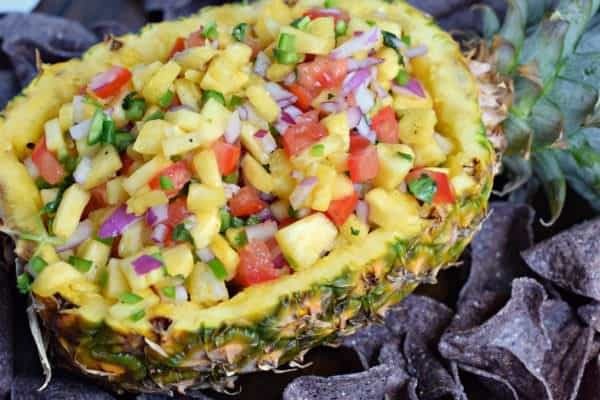 No worries though, I’m just going to enjoy every day and every bite of this Pineapple Salsa! 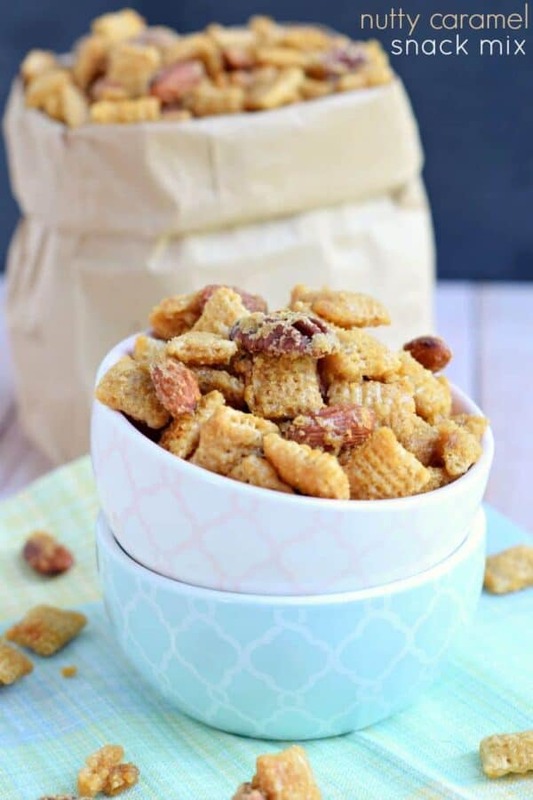 Nutty Caramel Snack Mix: crunchy, buttery caramel coated chex and nuts! 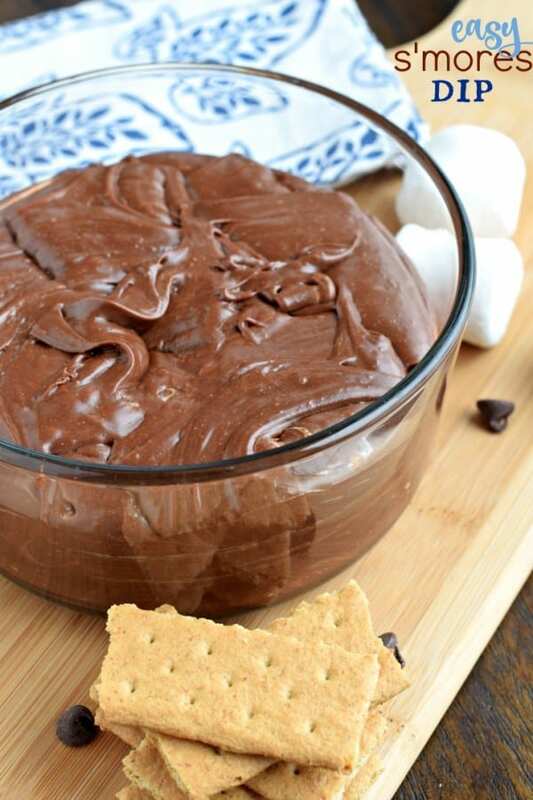 Easy S’mores Dip: only a few ingredients to this smooth, rich dip! Enjoy any time of year! 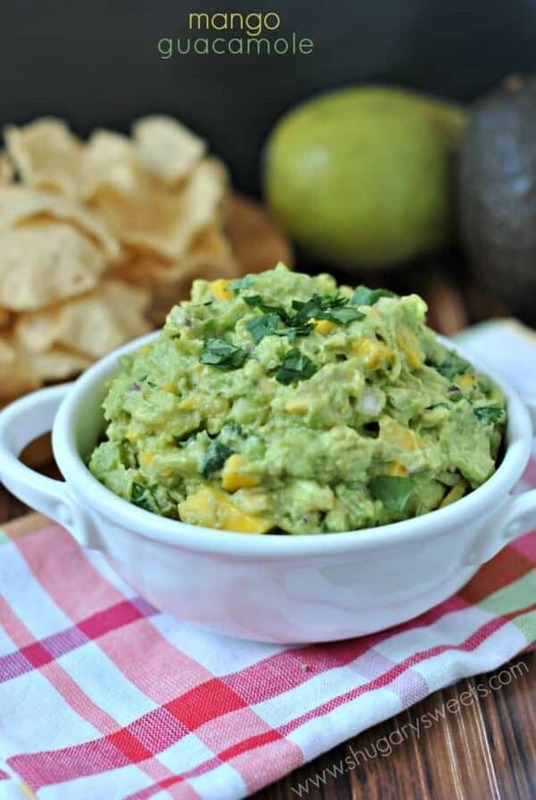 Mango Guacamole: add a little sweetness to your next batch of homemade guac! You’ll love it! Dice all fruit and vegetables and add together with remaining ingredients. Combine and allow to sit in refrigerator for about an hour to let the flavors mingle (not mandatory, but is helpful). 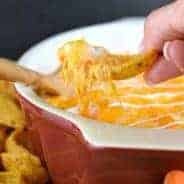 ENJOY with tortilla chips or serve over grilled chicken and/or fish. 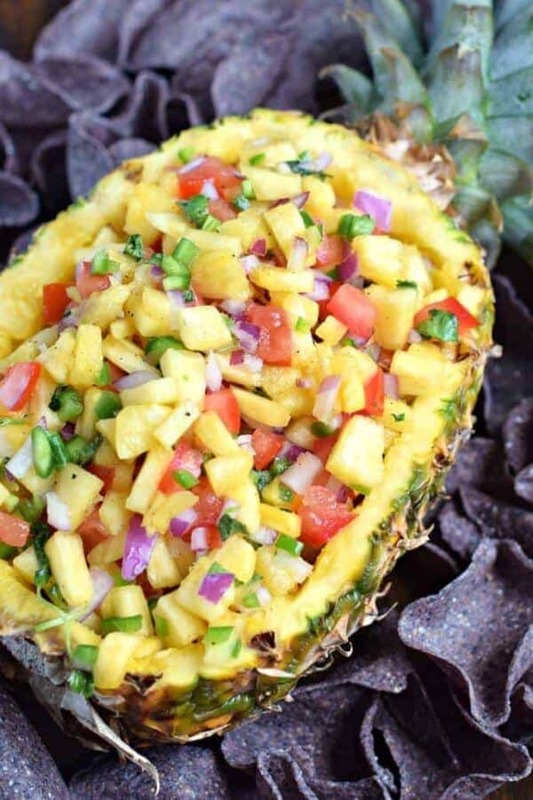 Today’s recipe for Pineapple Salsa was originally posted on Shugary Sweets on July 5, 2016 and has been republished in July 2018. I LOVE this salsa, Aimee! Not only is it filled with pineapple (my fave) but I love the presentation too! How fun would this be to serve at summer parties? Love!! They look so delisious, These foods are good for health. Moving and remodeling is rough!! hang in there…as you know it’s so worth it!! 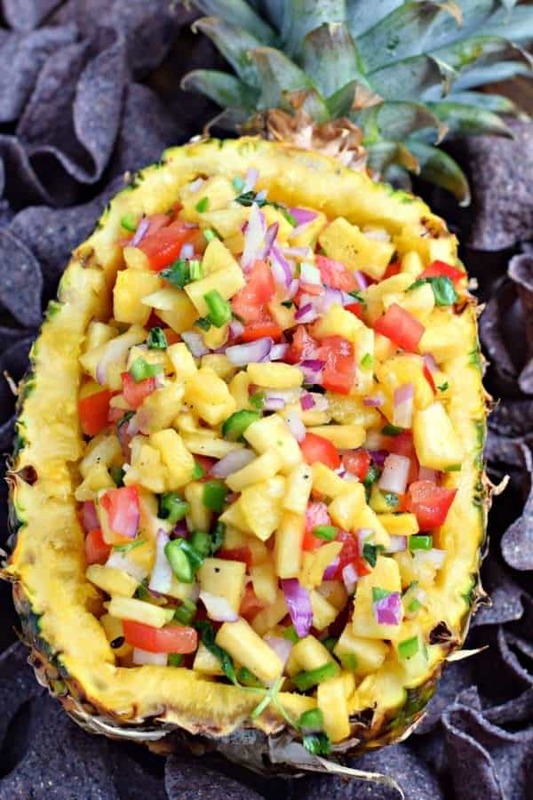 This is basically a vacation IN a pineapple 🙂 I LOVE anything pineapple, so this is right up my alley! haha! 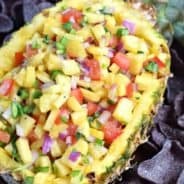 I’m a pineapple lover as well, so it’s truly delicious. I love fruity salsas! And how adorable is this to serve it in the pineapple?! Such a summery dish – love it! I really like fruit salsas! Yum! 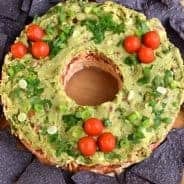 This recipe looks amazing and your presentation couldn’t be cuter! This will be the star of our next cookout for sure!